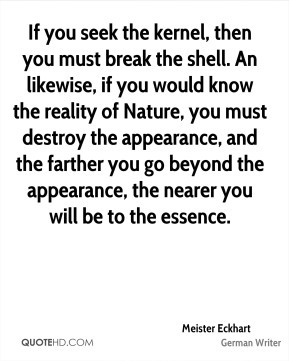 No-one knows what the soul is.. 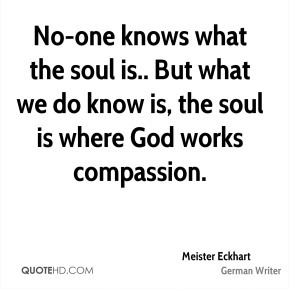 But what we do know is, the soul is where God works compassion. 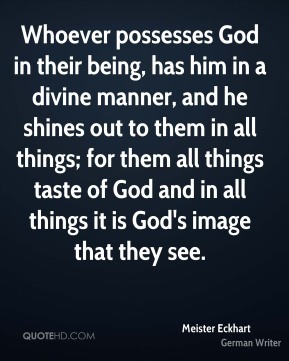 Whoever possesses God in their being, has him in a divine manner, and he shines out to them in all things; for them all things taste of God and in all things it is God's image that they see. 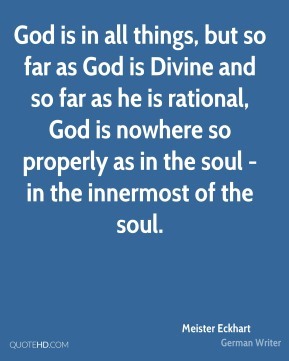 God is in all things, but so far as God is Divine and so far as he is rational, God is nowhere so properly as in the soul - in the innermost of the soul. 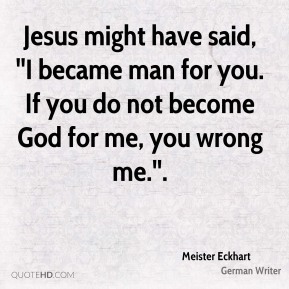 Jesus might have said, ''I became man for you. 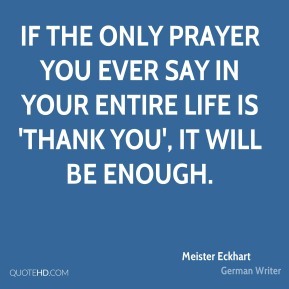 If you do not become God for me, you wrong me.''. 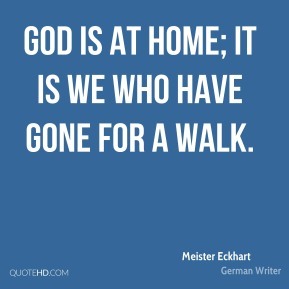 All that God asks you most pressingly is to go out of yourself - and let God be God in you'? 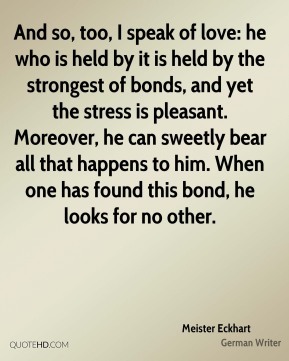 One could think that, in separating himself from creatures, the mystic leaves his brothers, humanity, behind. 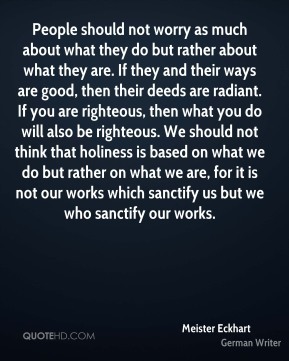 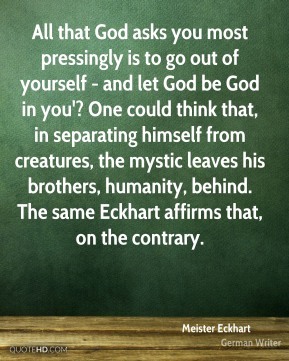 The same Eckhart affirms that, on the contrary. 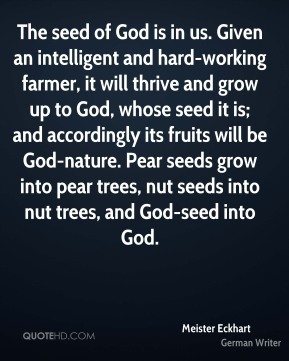 To be right, a person must do one of two things: either he must learn to have God in his work and hold fast to him there, or he must give up his work altogether. 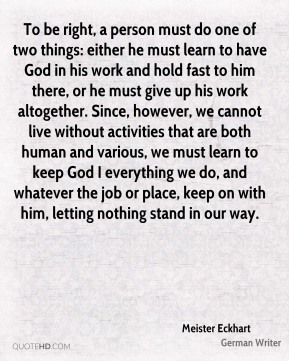 Since, however, we cannot live without activities that are both human and various, we must learn to keep God I everything we do, and whatever the job or place, keep on with him, letting nothing stand in our way. 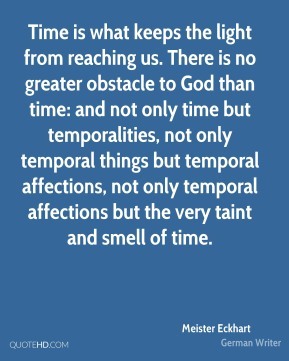 Time is what keeps the light from reaching us. 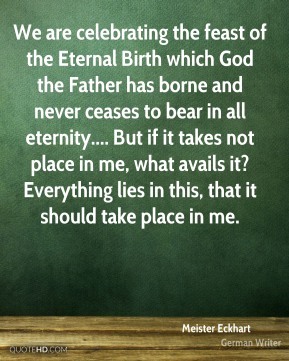 There is no greater obstacle to God than time: and not only time but temporalities, not only temporal things but temporal affections, not only temporal affections but the very taint and smell of time. 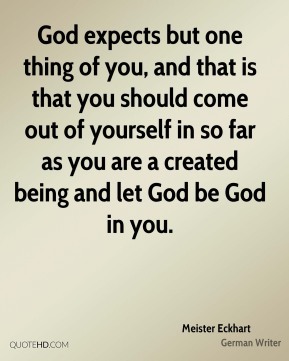 God expects but one thing of you, and that is that you should come out of yourself in so far as you are a created being and let God be God in you. 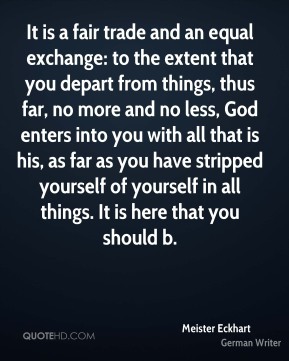 It is a fair trade and an equal exchange: to the extent that you depart from things, thus far, no more and no less, God enters into you with all that is his, as far as you have stripped yourself of yourself in all things. 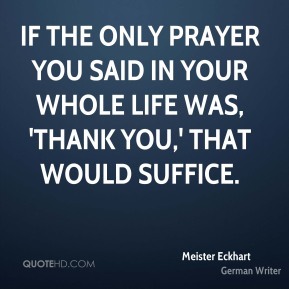 It is here that you should b.